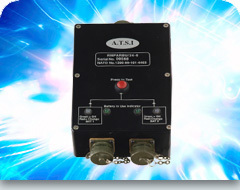 Light Weight Power Solutions for all Modern Armed Forces. 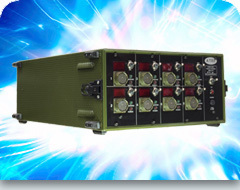 Merlin 2 TRACER - 12V 64Ah, equipped with tn-band GSM, sat comms and radio comms capabilities. Kite - pocket sized, lightweight 12V 4Ah with 3mm aluminium rugged case. 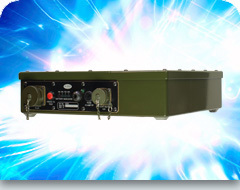 Eagle - 12V 64Ah, self heated for use in Arctic conditions (-50°C). 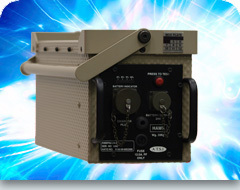 RMI - 12V 64Ah, on-board computer, protection mechanisms, for use underwater (to 1m depth). 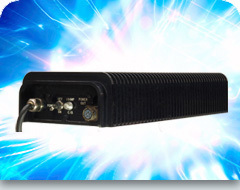 Kestrel - 24V 7Ah, with safety features to protect against short circuit . input from 100-260V AC (auto-switching). E.g. Centurion UPS/CPU (RMHCPU-20) - high power DC UPS, delivering up to 20 amps at 24 volts DC, with seamless transition from mains to battery in the event of power failure. Will deliver 10 hours at 20 amps on battery backup. 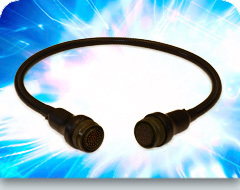 Our custom cable assembly division specializes in the manufacture of high calibre Military cables, harnesses and looms to ISO 9001:2008 standards. Over 10 years of experience has shown that the weak link in equipment deployment (particularly when constantly relocating in temporary locations), is attributed to cable failure. Military cables must be built to withstand extreme weather conditions, hostile environments and harsh treatment as well as being light weight, flexible, combined with longevity, reliability and safety (non- toxic materials with maximum fire retardency). To view our Product NSN Codification Numbers, click here.